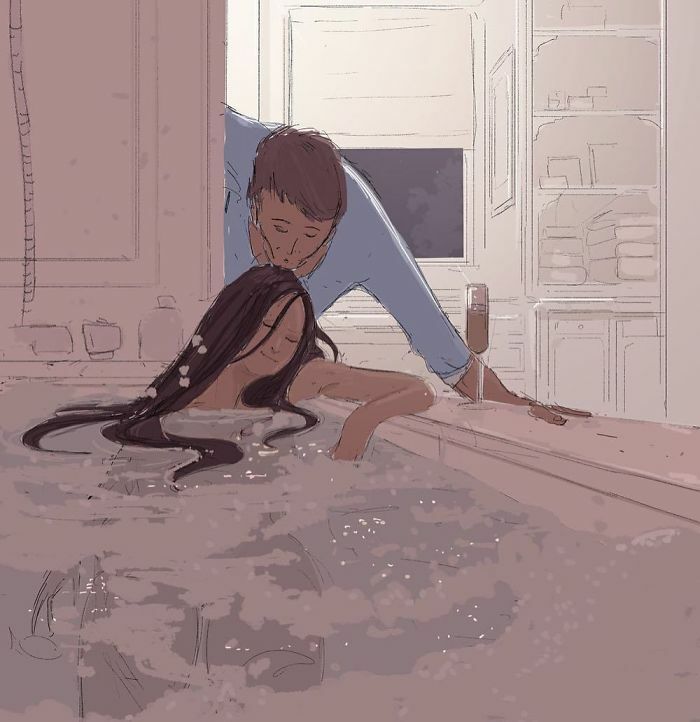 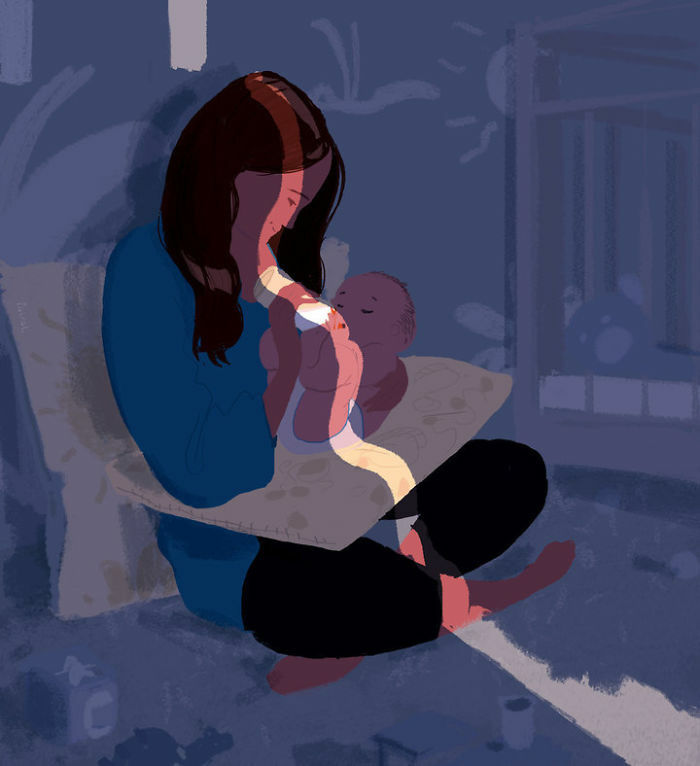 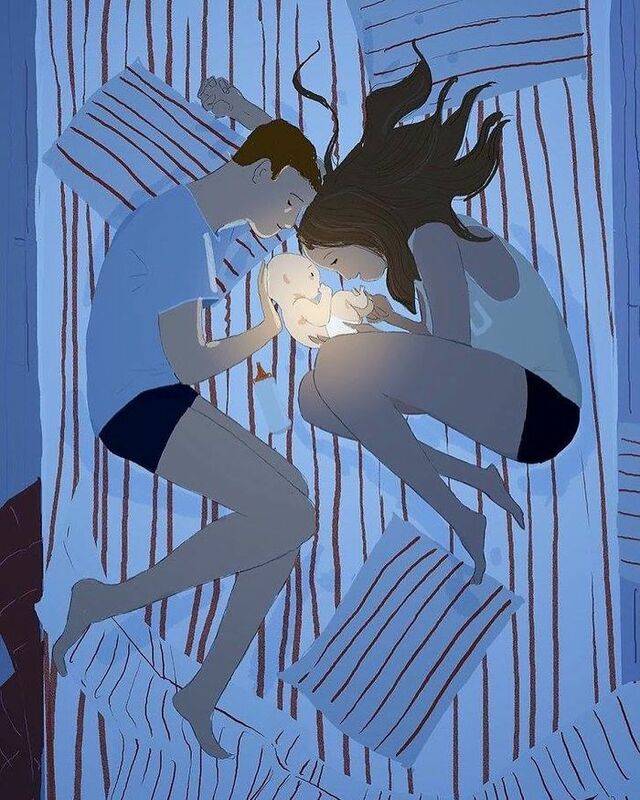 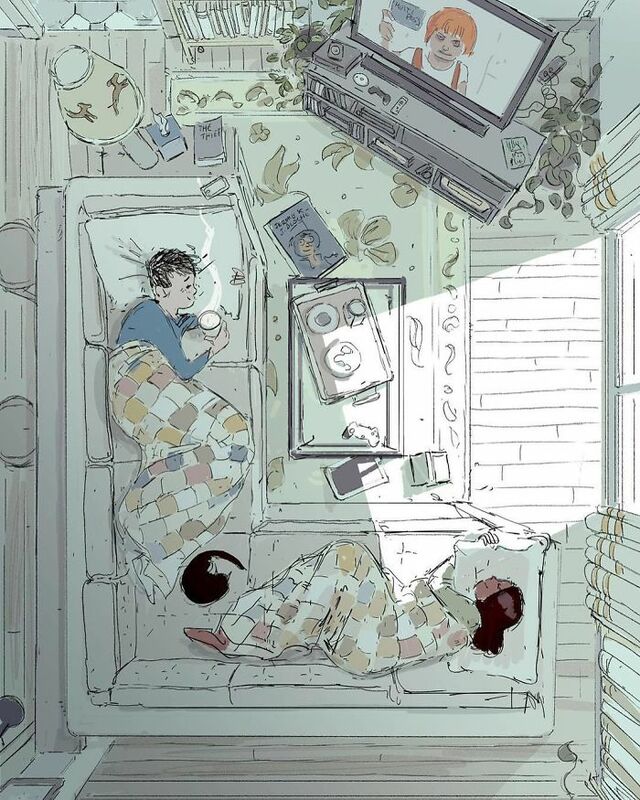 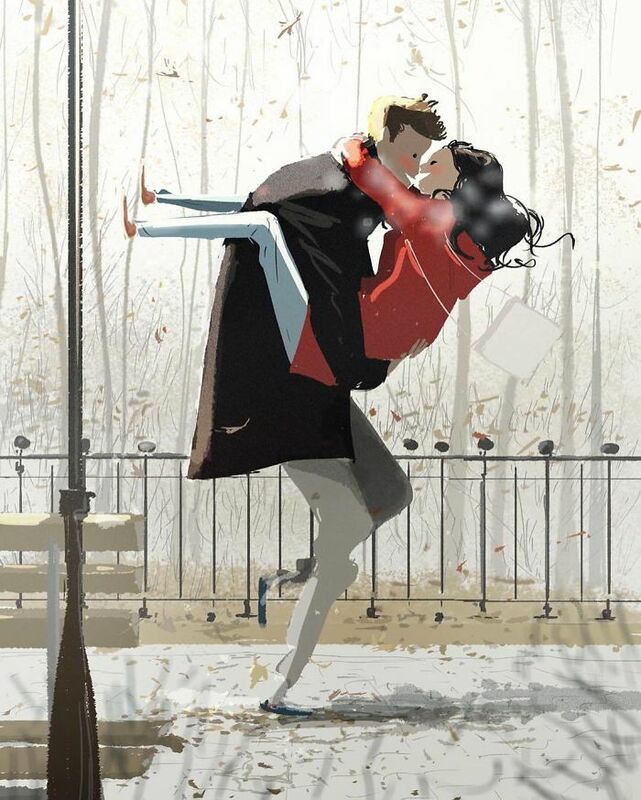 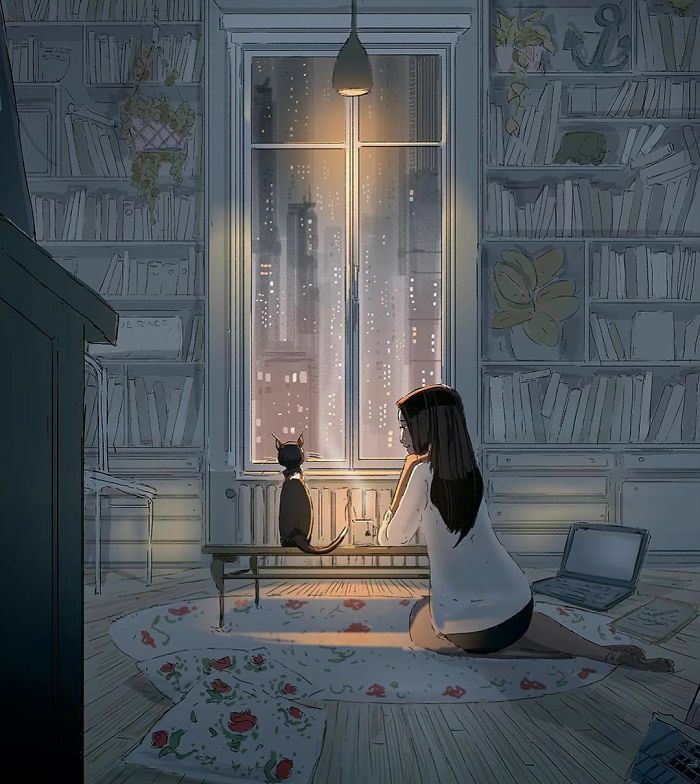 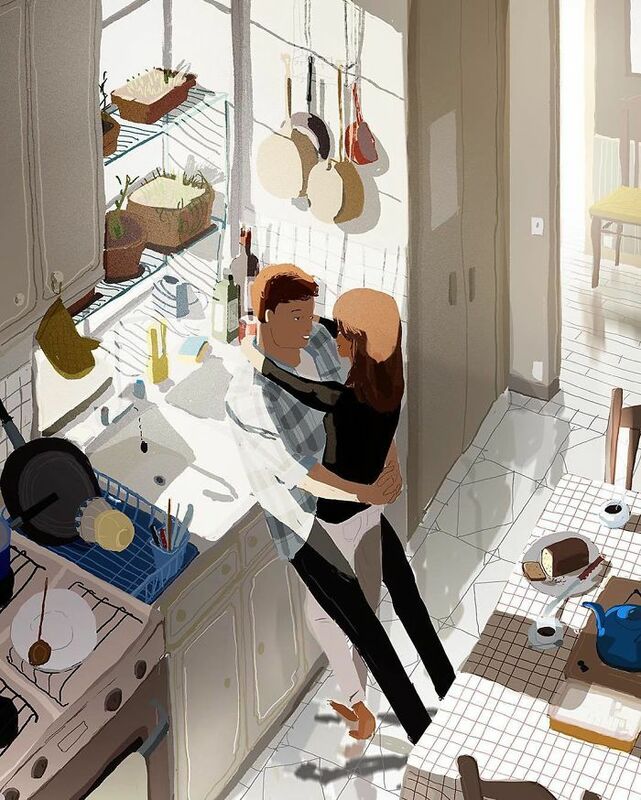 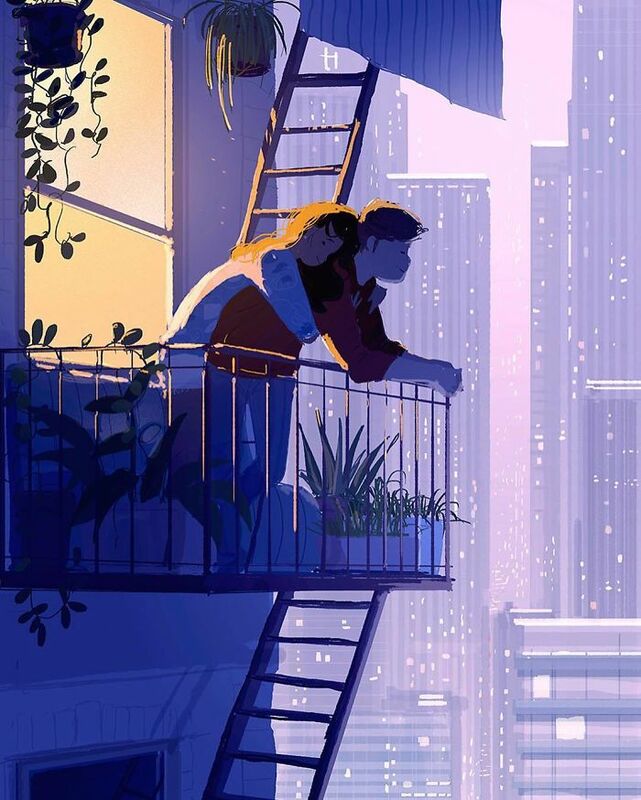 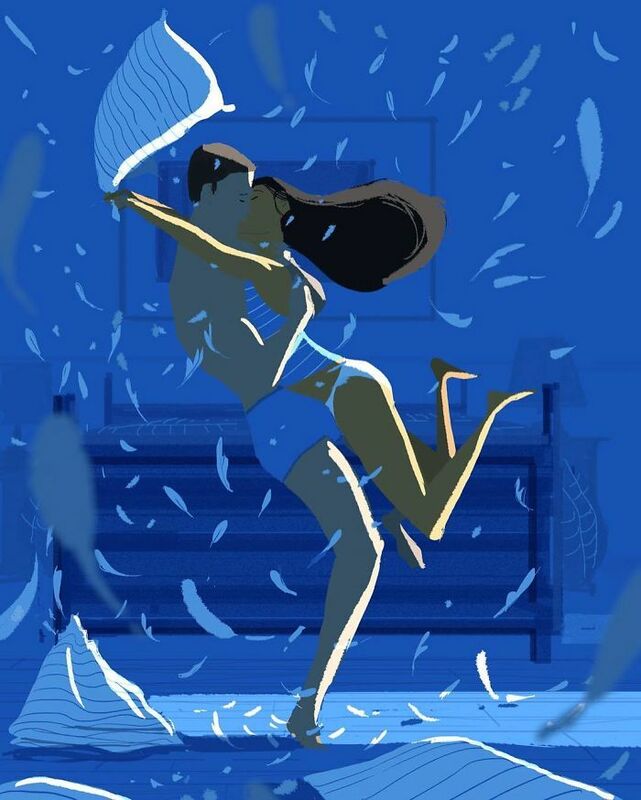 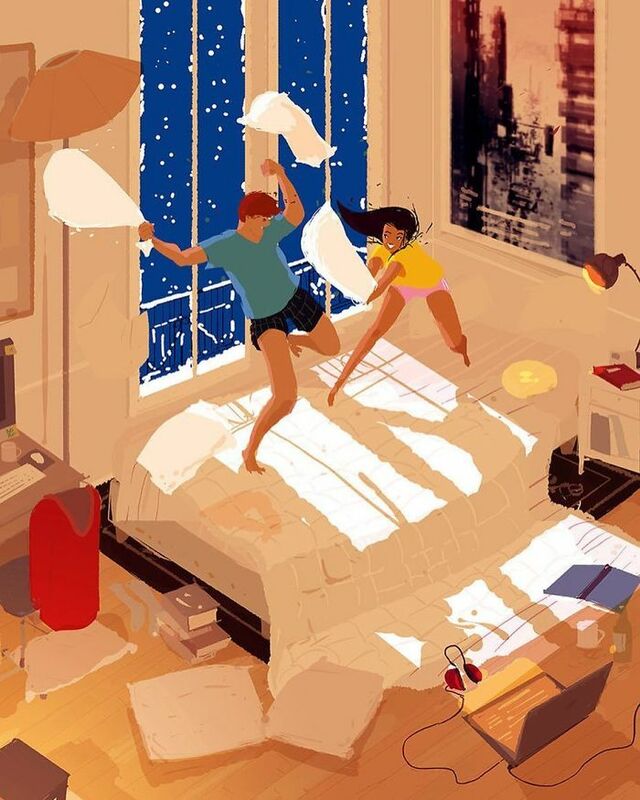 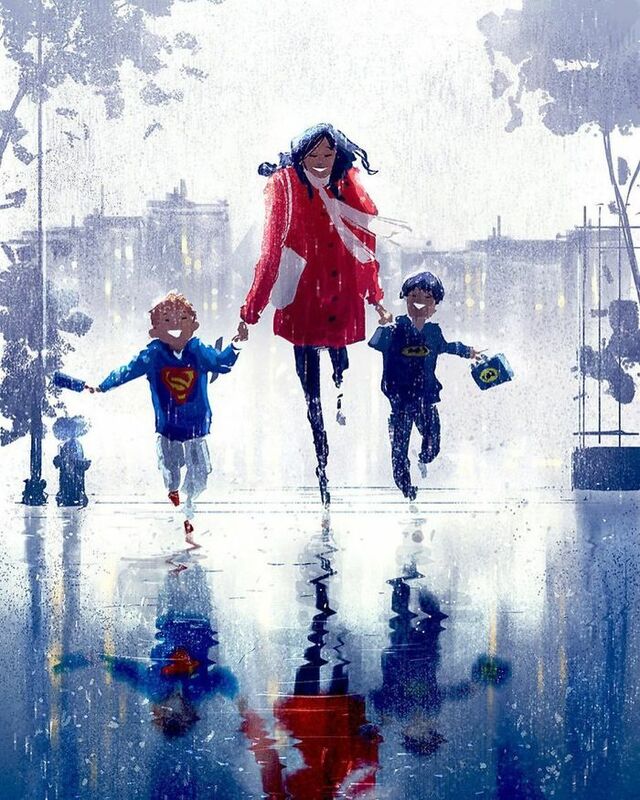 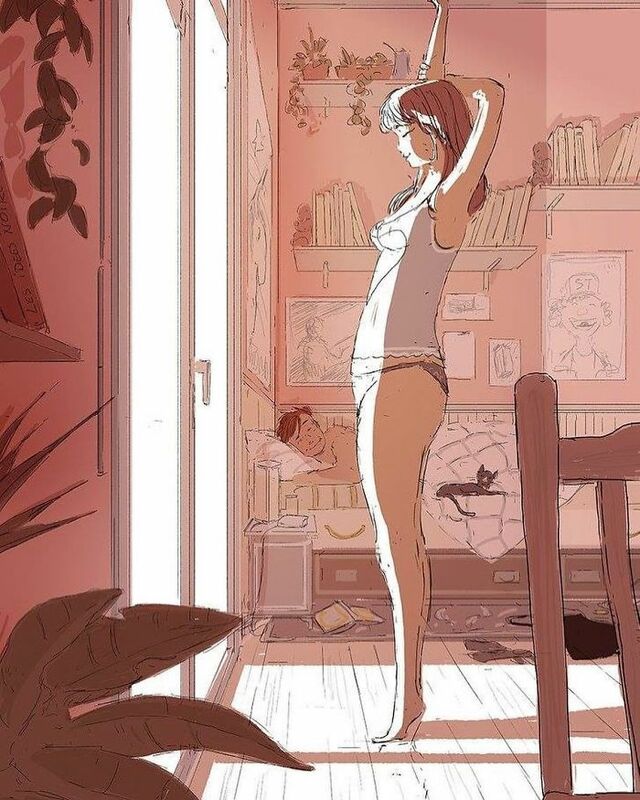 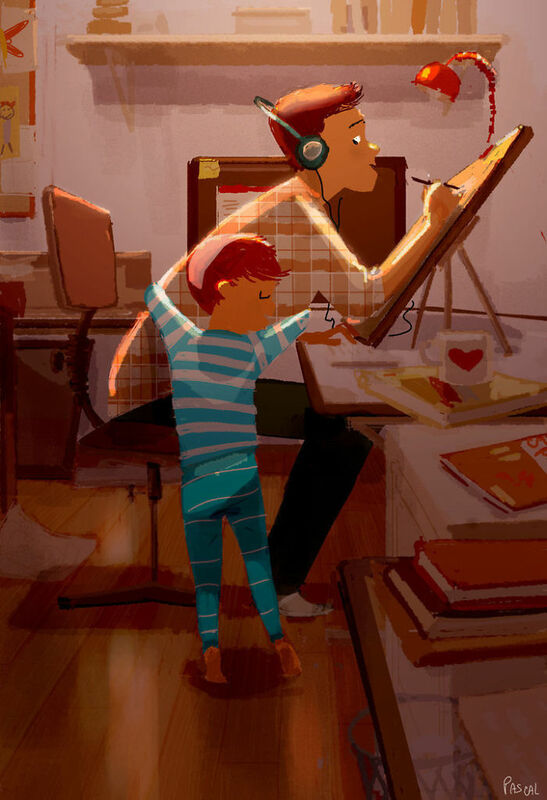 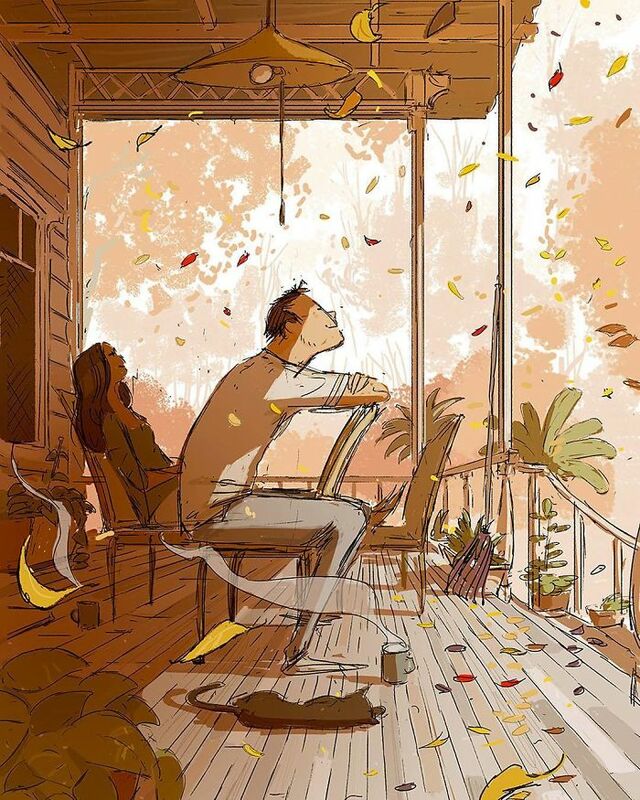 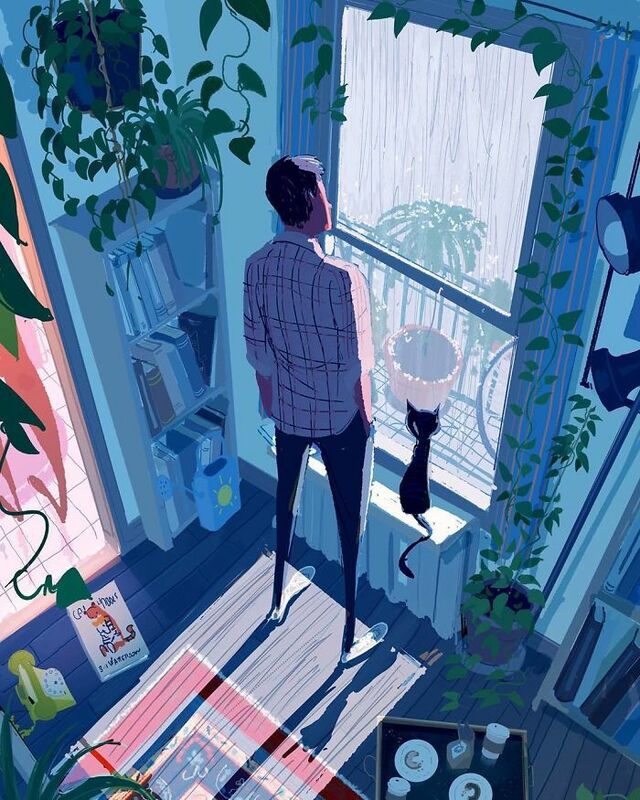 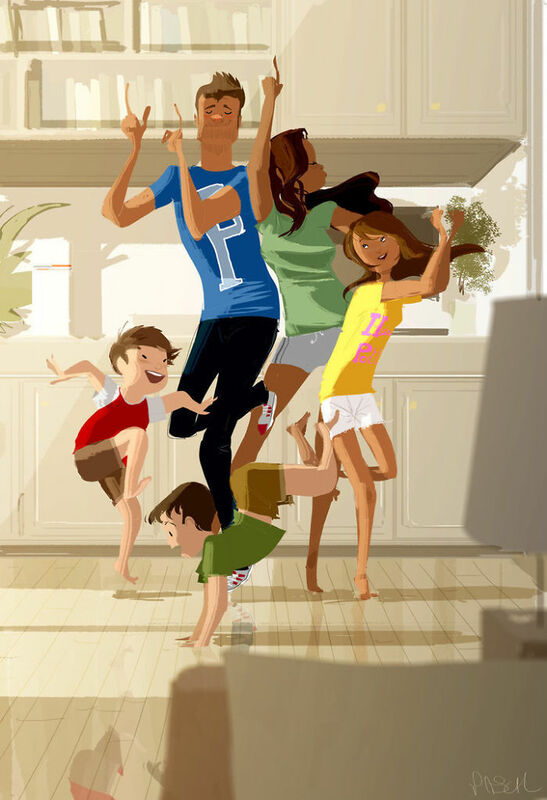 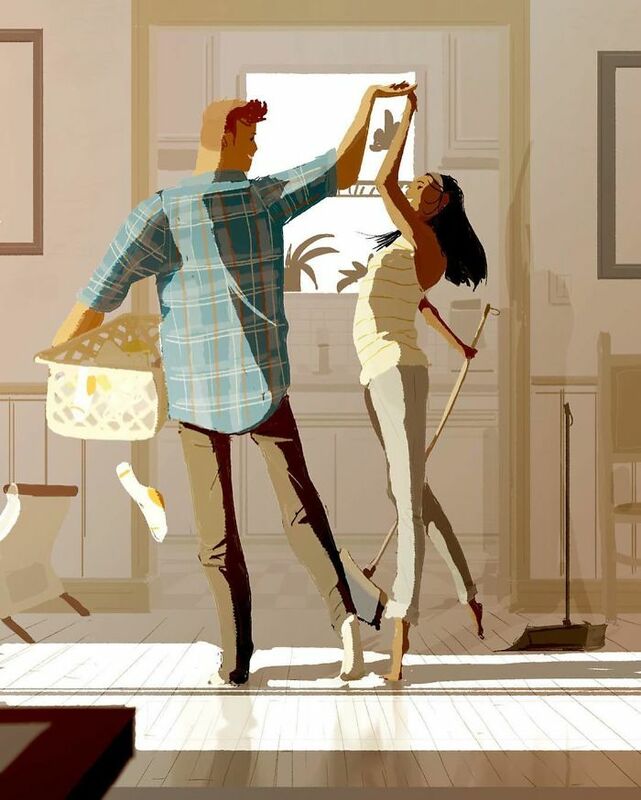 Inspired by Katrina, his wife of 10 years, and his 9-year-old daughter, and his 6-year-old twin boys, artist Pascal Campion creates heartwarming and soulful illustrations about every day life. 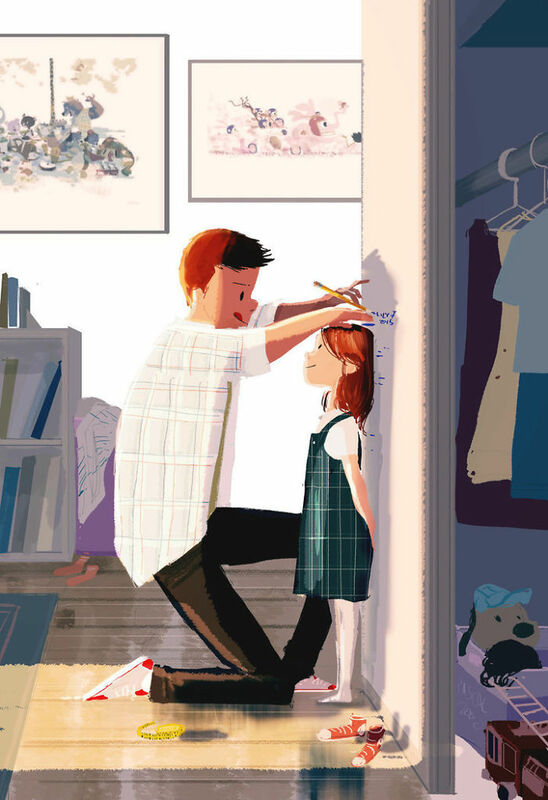 His work brilliantly captures the importance of the small things. 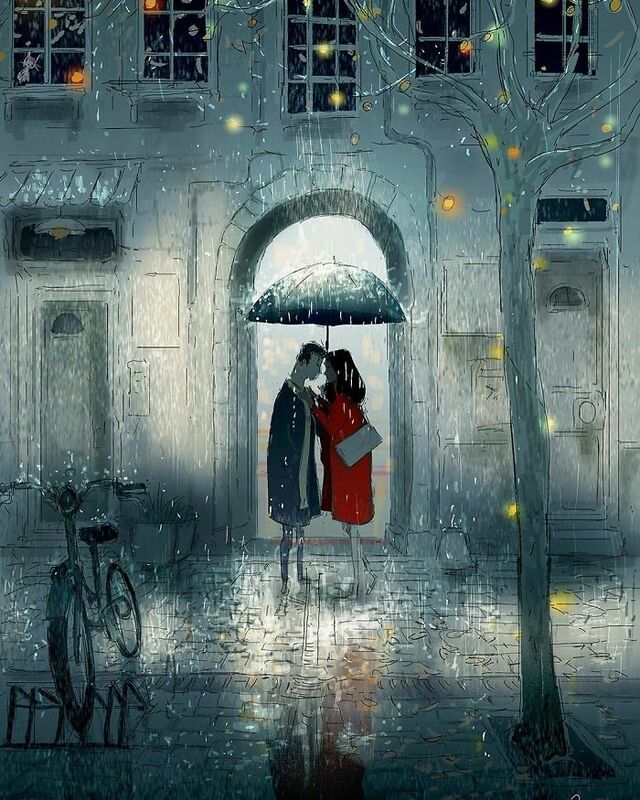 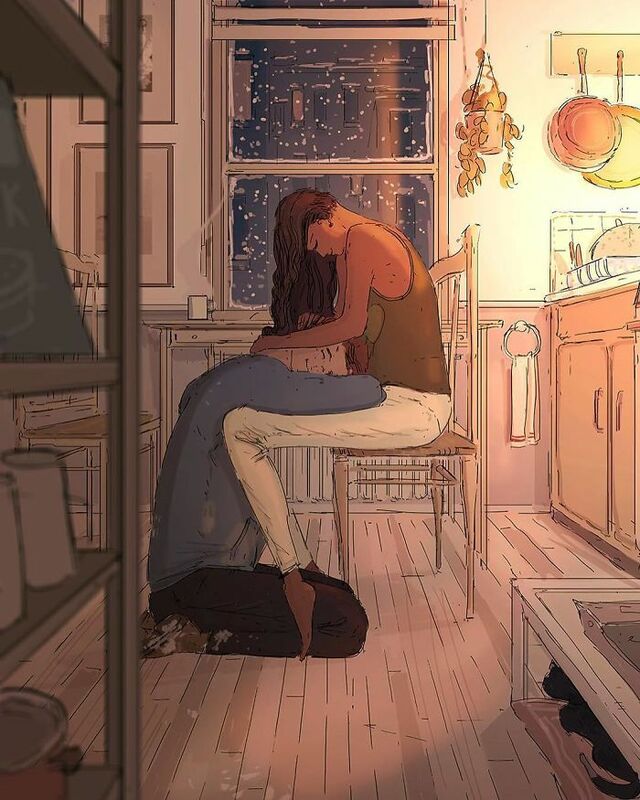 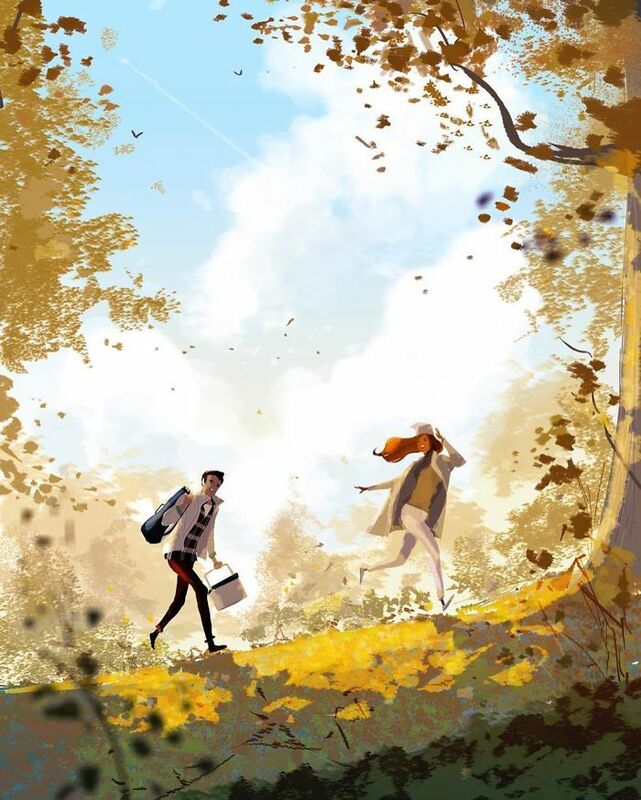 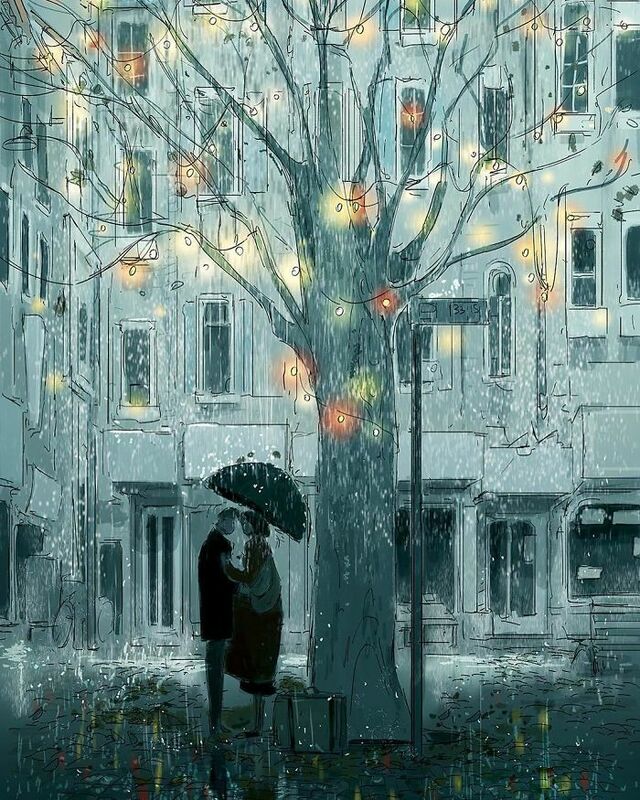 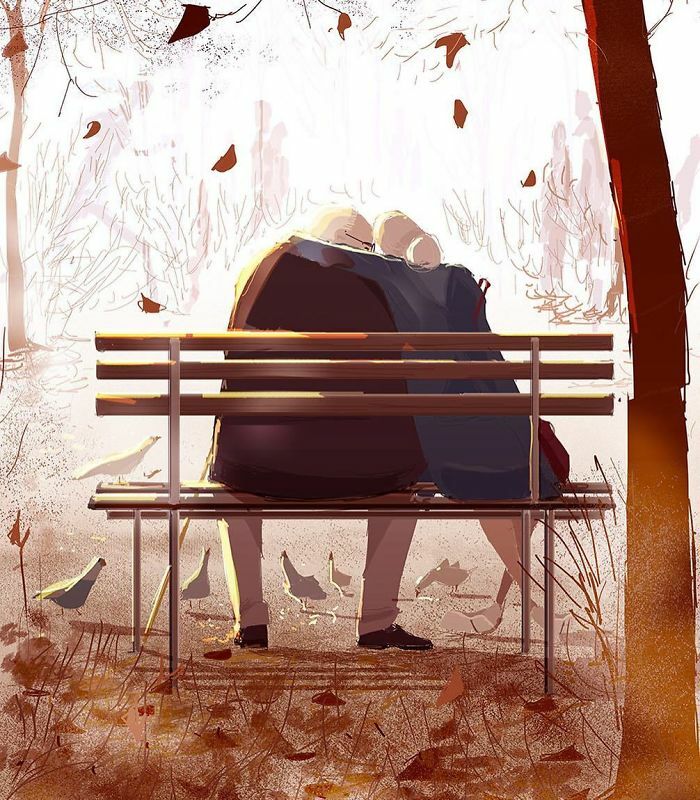 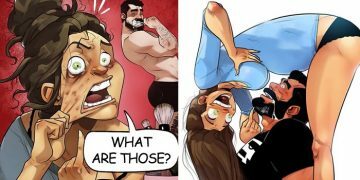 From watching the autumn leaves fall, pausing to catch a ray of sunshine, holding hands in a crowded room or simply reading a book on a rainy night with a warm cup of coffee, his illustrations not only look beautiful; they also encourage us to stop, look around us, and think about what really matters the most. 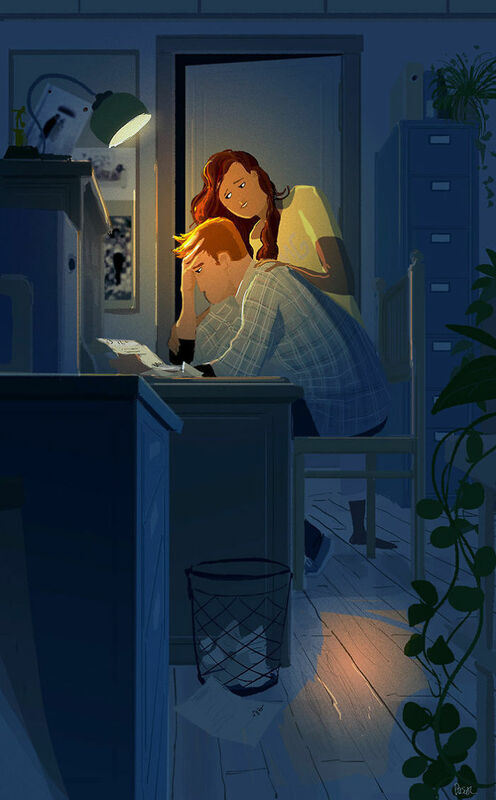 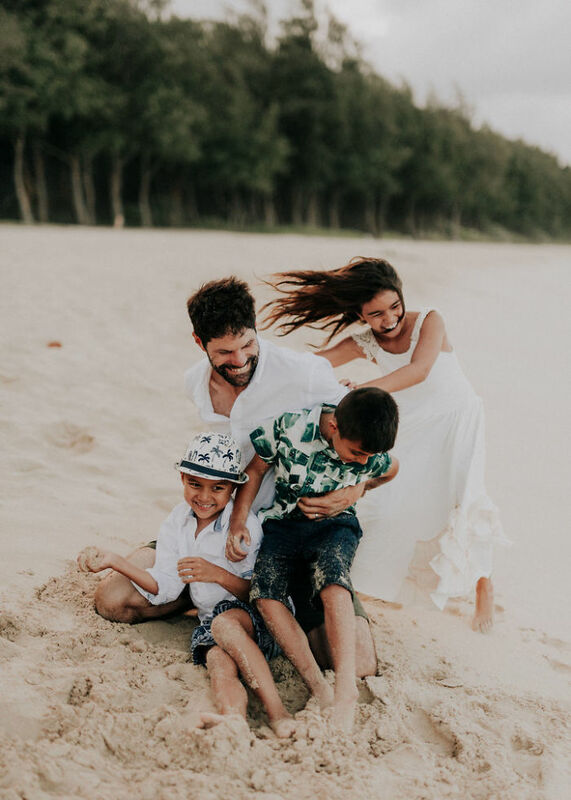 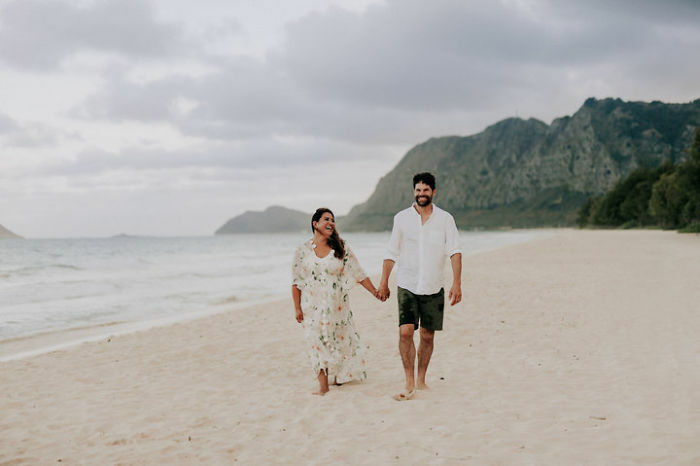 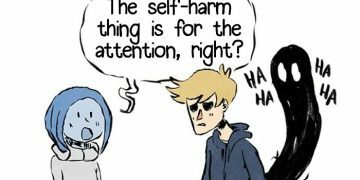 “The little moments are just as important as the big ones,” says Campion, who describes his style as “spontaneous and messy in execution but clear in communication.” Scroll down to see for yourself.